My name is Mariam Catovic (most people call me Catovic) and I will be the Regional Director for MIST New Jersey this year. I am a senior majoring in Industrial and Systems Engineering at Rutgers University. I am 50% Egyptian, 25% Bosnian, 12.5% Scottish, and 12.5% English. Don't worry, I don't expect you to remember that, I barely do. When I'm not doing MIST, MSA, or school work, you can probably find me at a Panera eating mac and cheese. I love cheese! Anyways, I am SUPER PSYCHED for MIST NJ's THIRD YEAR and I CAN'T WAIT to see the AMAZING TALENT you all have (MASHA' ALLAH)!!!! LET'S SHOW EVERYONE WHY NEW JERSEY IS THE BEST REGION!!!!!!! WE ARE JERSEY WE ARE NUMBER ONE!!!!!!! I advocate so much for MIST because I truly do believe in the good that it brings! There is no other platform in the country that allows high school students, Muslim or non-Muslim, to truly express themselves, try new things, and achieve great accomplishments. I believe that everyone is made equal but that some work harder in preseason. If you want something you just have to go for it, put your very all into it, and put your faith where it needs to be. In the end the results don't always matter but its what makes you better. That is what I believe MIST gives back to our greater community. Hey guys, I am so excited to be on the MIST NJ team this year. I love MIST a lot and I can't wait to meet you guys. A little about me... I like cats but then again I don't like cats. My favorite color is yellow and my birthday is December 12th. So in 2012, my birthday was 12/12/12. Oh, and I am the oldest of seven siblings. That is all. Nisa loves to paint in her free time. She's also a history geek and is crazy about chocolate and her adorable cat, Bella. Ateeb loves watching movies and writing. He's been involved with MIST for the past two years as a competitor and this is his first year on the team. Fun fact: He also hates (most) chocolate and coffee. 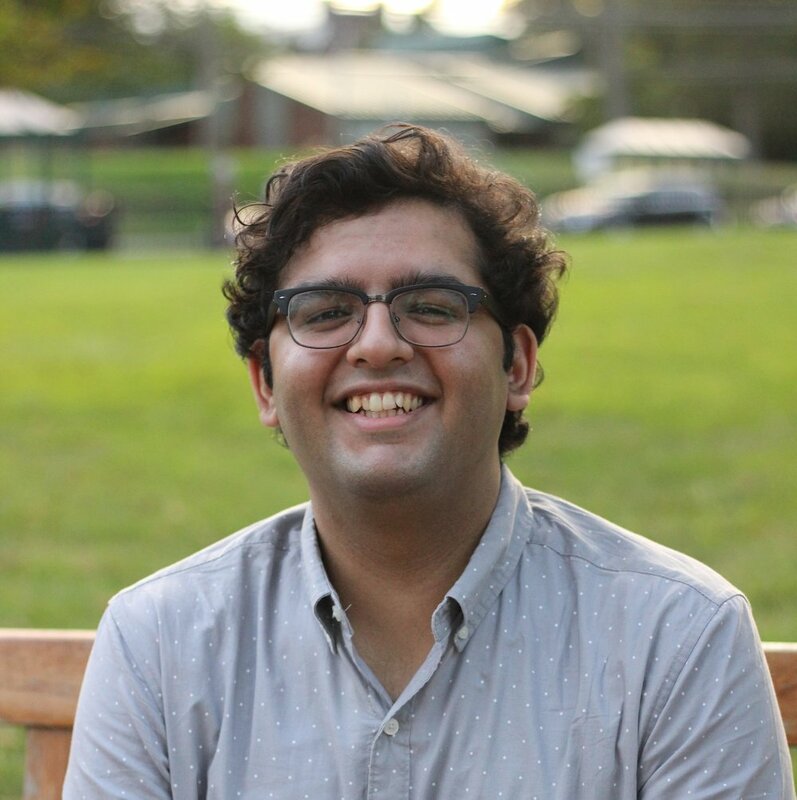 Areeb Lakhani is a freshman at Rutgers New Brunswick. He is majoring in information technology and informatics with a minor in political science. He loves MIST because of how it brings together people from different regions. Fun fact: Areeb’s aspires to be a congressman in the future. I have chronic hiccups (10 years and counting), I love coffee and puns, and I am the clumsiest person you'll ever meet! Hi Salam! I'm Falak. I'd like to go to law school after graduating from Rutgers and study immigration and international law. At Rutgers, I serve as a Peer Leader Mentor to freshmen students and I'm completing the Insitiute of Women's Leadership Scholars Program. I like to eat cereal for dinner and fall is my favorite season. This is my second year being apart of the incredible MIST family and I'm really excited to meet you MIST2018!! I grew up in a pretty small town without a lot of Muslims. During my time as a competitor, MIST was one of the first places I was surrounded by people just like me. Now as an organizer, I hope to help continue the amazing event. Hi, I am Hira Ali. I am one of the many Hiras you will meet at MIST! I am majoring in Mathematics and minoring in Middle Eastern Studies and AMESAL. I have been a part of MIST for the past two years. And I look forward to meeting you at MIST 2018! In addition to being involved in MIST I love going to MSA events. I also work at my Sunday School and act as an Ambassador for the Leadership Department at Rutgers. Write here...I've been told I'm one of the most spirited (and loud) organizers during MIST Weekend, and I LOVE TO GET HYPE!! On campus I am involved in the Rutgers Business Governing Association, as well as with the Rutgers University Student Assembly (so I'm basically always in meetings). I'm also the Marketing head for ALR! Catch me manning our social media the weekend of and screaming my head off everywhere I go! Henlo, n Salams. Am Isalam. Just kidding; the name's Islam. Salamalams famalam. Alright, time to cut the chit chat, it's time to get to the juicy factoids that I am obligated to write for this organization's website. Buckle your seat belts ya jungli bachas. I am currently a sophomore majoring in Biology and minoring in Psychology, and I'm involved with GlobeMed, HOPE, and a tutoring program for 1st-3rd graders. Last year, I told the story of how I was introduced into this be-You-tiful organization and joined with absolutely no knowledge of what I was getting myself into. This year, I'll switch it up and hint at why I came back for a second year. The impact that MIST NJ left on those competitors bright faces, along with one of the most wholesome and be-yOu-tiful muhasiba's in the short span of less than 48 hours...I'll tell you, it was more than enough to tug at my heart strings. (Under-exaggerating, as they were practically ripped out of my chest without warning in the final hour). I'm trying to keep this bad boy short compared to last year's be-yoU-ty, so I'll end off with a final factoid. Fun Fact 2: Sister Mariam Catovic and Uncle Tareq Salimi enjoy going by Mariam Chatoviché and Uncle Rex/Trex, respectively. Salaam! My name is Sabihah and I'm a sophomore at the Rutgers Business School. I'm currently majoring in Supply Chain Management while following a pre-law track. I've been a part of MIST since my junior year of high school and it's been my favorite family since. Aside from MIST, I also run my own Hijab company and intern at CAIR. My name is Sara Tariq, I'm studying Spanish and Prehealth. I'm involved in YM, and have been working to create MSA's throughout NJ for a while now -- so I feel that my involvement in MIST is the next step in the work that I've already been doing as this is my chance to iA see the muslim communities within high schools become stronger as they will now have the opportunity to bond and compete together over MIST weekend. My name is Abeera Naeem and I am a junior majoring in Exercise Science with a minor in Psychology. Something I love about MIST is that it provides a safe yet competitive outlet for young Muslims from all over the world to come share their passions and meet others who share similar interests. Fun Fact: I haven't had a sip of soda in over 7 years!!! I am involved in other clubs that promote community building, community service, and creativity. As someone who went to a high school with very few Muslims, I want to provide high school students with an amazing experience where they can meet other Muslims and have fun! Some fun facts about me: I love crafts, chocolate, and am Egyptian! Hi my name is Sahar and I'm a Junior as a Civil Engineer major at New Jersey Institute of Technology. Ive been apart of MIST since 2016/2017 school year and I have loved every moment of it. MIST brings students from different communities together and it is honestly great to see and experience. I hope to learn something from MIST as well as give something back! I'm also on the Rutgers Model UN team. I also enjoy photography, theatre, reading, writing, movies, driving my car, and Thai food. I'm not really sure what else to put here so I just listed random things. Oh also, I competed in MIST last year in extemporaneous essay and Photography and went to nationals.